Icelandic classic rock trio THE VINTAGE CARAVAN unleashed their 4th studio album »Gateways« on August 31, 2018 through Nuclear Blast Records (Alda Music/Iceland). The record was received very well, and led to the band’s first ever chart entry in Germany (#75), followed by a successful EU/UK tour. 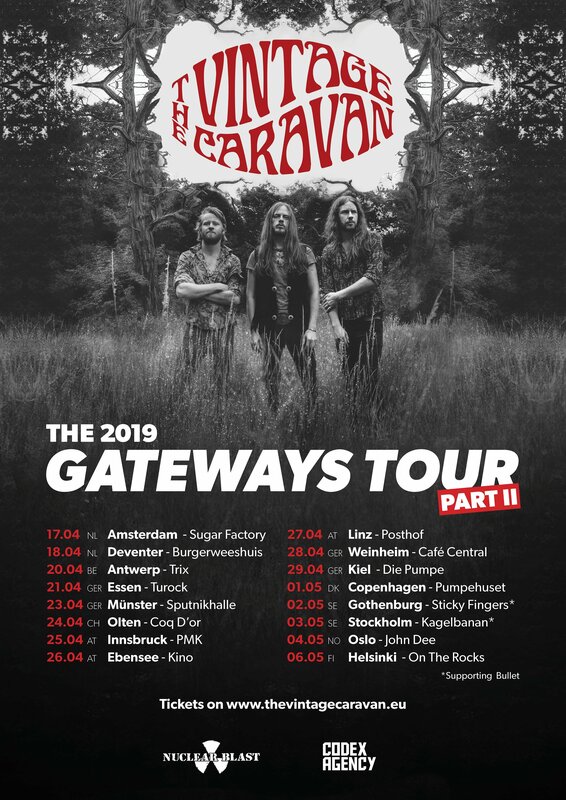 Today the band is happy to announce the second leg of their European »Gateways« tour for April/May 2019. Starting on April 17 in Amsterdam, NL, the trek will be rounded off by a gig in Helsinki, FIN on May 6. Additionally, new festival appearances have been added to THE VINTAGE CARAVAN’s touring schedule. All dates can be found below.